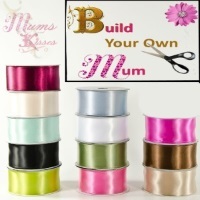 Almost all of our mums can be made in to a Double Homecoming Mum or Garter. 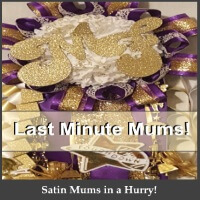 Some of the mums below don’t show a photo of the double mum version however all on this page have the option to order in a double mum. We also offer matching Double Garters for males please see the garter tab above for more information. *Please note the Surprise Mum is a Surprise and might or might not be a double mum, after all, it is a surprise. 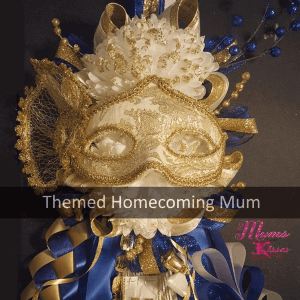 Our Custom Homecoming Mums can be made in any size you like. 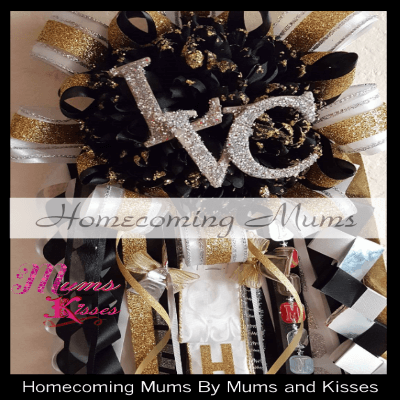 Traditionally the Double Homecoming Mum has been reserved for the Sophomore, but at Mums and kisses, we think you can wear what you want to! 8 inches around with over 11 inches of mum flower, makes the double mum easy to wear, and it’s unique oval shape is a crowd pleaser!